Most planted trees in the Austin area are container grown trees. 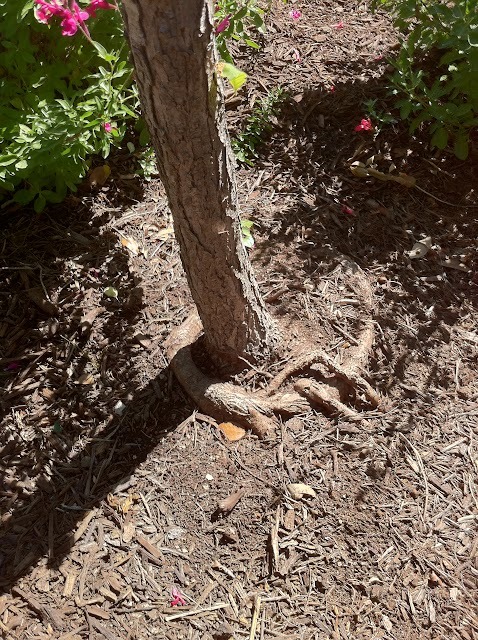 Most container grown trees develop girdling roots. If you’ve planted a tree, there is a good chance this is going to be an issue for your tree. Girdling roots are a serious problem. The end result is the tree literally choking itself. Tree death is the typical result from severely girdling roots. 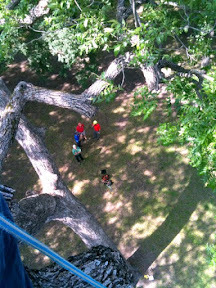 Even if your tree is lucky enough to survive, overall health and vigor will be poor. Behind construction and weed-n-feed damage, this is probably the third most prevalent and serious tree issue I run into out in the field (especially for transplanted trees). The picture to the left shows a typical looking girdling root. Keep in mind these aren’t always visible from surface level. Sometimes you have to dig down to find them. 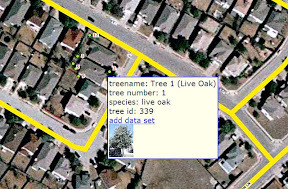 The city of Austin is very demanding that you do not impact what is defined as 1/2 of any heritage tree’s critical root zone (CRZ) during construction and development processes. And, rightly so. If you are building around a tree and expect it to live, rooting area needs to be preserved. Unfortunately, sometimes the city’s CRZ protection requirements can really restrict design ideas and site use. During one particular project I worked on with David Carroll with LZT Architects, the design successfully avoided breeching the 1/2 CRZ of a heritage tree, however, the contractors needed a few feet of access around the edge of the new building. The problem was the design built right up against the 1/2 CRZ, which meant workers would need to work on top of the 1/2 CRZ; this is a no-no. 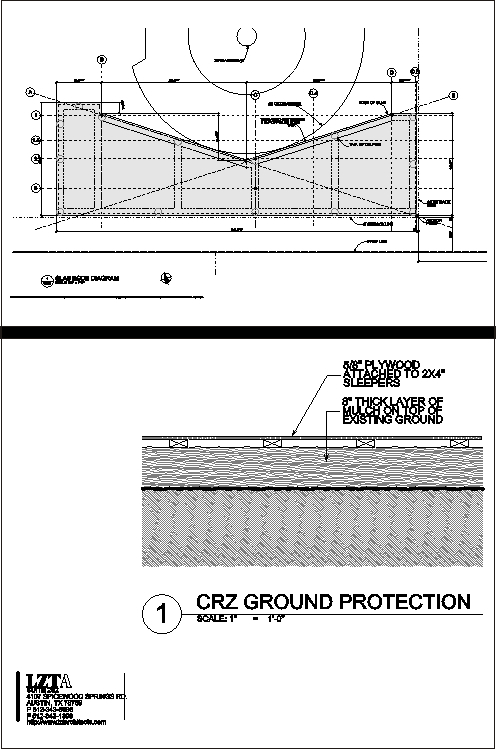 To mitigate the access problems, the builder put down a stage of CRZ ground protection. This consisted of an 8″ layer of mulch directly on the natural grade with a stage made of 2×4 sleepers attached to plywood. This stage effectively buffers foot traffic from the root zone to protect the tree and allow workers to do their job. 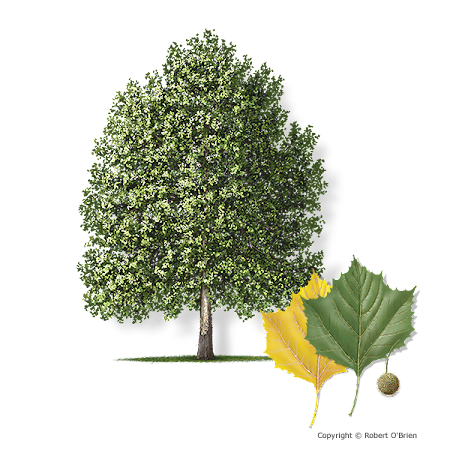 The Mexican sycamore has been a popular planting choice for about 10 years. Like the moneterey oak, it seems to be emerging as a great tree for the area, but it has yet to stand the test of time. You absolutely must water your tree properly if you want any newly planted / transplanted tree to thrive. I highly recommend an automatic sprinkler system and/or tree bubbler. A tree’s planting site is going to determine the final watering regimen exactly, but here are some guidelines to help you get started.